Sometimes I am in the mood for Asian food, but most of the time I do not leave the house to go get some. No, I do not get delivery, but instead I make my own! I figure most of the time the food I make myself is lighter and healthier than what is traditionally served in most restaurants. As well as cheaper, and cannot beat that! 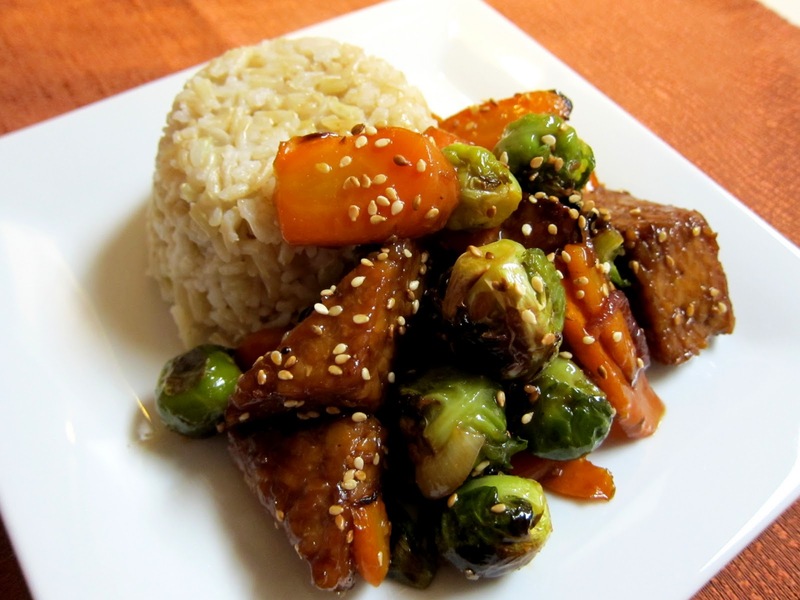 One of my favorite dishes to make is sesame tempeh with veggies, which I serve with cooked brown rice. It is warming and flavorful, and I never miss the restaurant food. I change up the veggies depending on the season, but during the Autumn months, one of my favorite vegetable combinations to use is simply carrots and brussels sprouts. I roast them to give them plenty of flavor to combine with tempeh and sauteed shallots in an Asian inspired sauce! If you have not tried tempeh, do not be afraid of it; it is wonderful in dishes like this in place of the usual tofu or meat. Amy currently works in our deli contributing to the variety of healthful foods we offer. She graduated with a degree in studio art from Bethel University in 2007, but in her senior year of college, found that her passion was with the art of food. She later used her photography and culinary skills to create a vegan dessert and food blog, Fragrant Vanilla Cake. 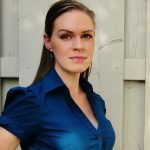 She is also a cookbook author, of the books Just Vegan Cakes, Fragrant Vanilla Cake: Sweet and Savory and Rawlicious Desserts. She specializes in raw, vegan and vegetarian recipes. Local,fresh and organic food has always been her focus in whatever she creates. Preheat the oven to 475 degrees. Line 2 baking sheets with foil, and spray with non-stick spray. Toss brussels sprouts and carrots with just enough peanut oil to coat, and spread out on one of the sheets. Roast until tender and starting to brown, about 15-20 minutes. Meanwhile, toss the tempeh with 2 Tbsp tamari and 1 Tbsp peanut oil and spread out on the other sheet. Bake until starting to brown at edges, about 15 minutes. Meanwhile, when the veggies and tempeh are almost through roasting, heat 1 Tbsp peanut oil in a large non-stick skillet over medium heat. Add onions, and ginger and saute until onions are starting to become translucent, about 5 minutes. Add garlic, and sautee until fragrant, about 1 minute, then add roasted veggies and tempeh. Whisk together mirin, orange juice, sesame oil, tamari, and cornstarch, and add to the pan. Stir, and cook until heated through. Add sea salt to taste, and toasted sesame seeds. Serve hot with rice! Get the latest news, recipes and deals delivered straight to your inbox! ©2019 Fresh and Natural Foods | Website Design & Development by W.A. Fisher Interactive. Report Problems.